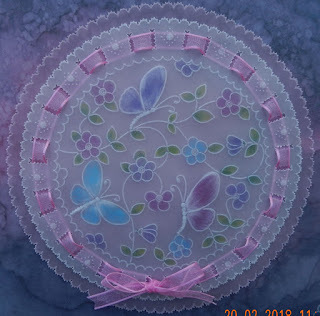 I have been trying to teach myself parchment craft using Clarity Groovi plates for a while now, I have always love the delicate results that can be achieved with this old craft but it takes so much patience using the traditional methods. With this new system the acrylic plates make it much easier. I started by tracing the outline for the centre circle and then coloured it in from the back, I gently cut slots for the ribbon and then pierced and snipped the first picot edged circle. Cut a second circle and mounted the two together. 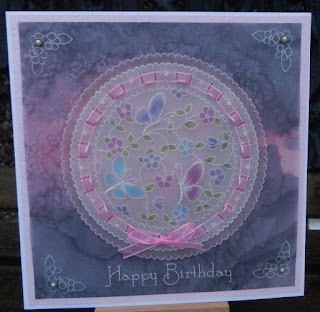 I used a sheet of my precious patterned parchment from Clarity again called Shenandoah in my favourite pinks and grey. 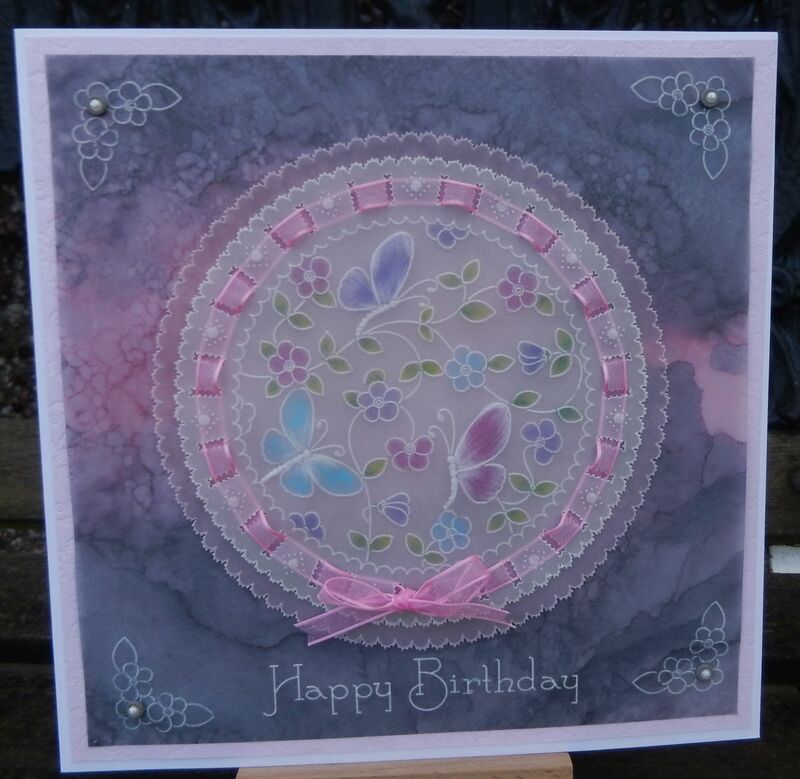 I embossed my sentiment and the corners and stuck my circles onto it. This is the groovi system at it's simplest some of the work that experienced parchers do is so wonderful and intricate , I can only dream. Oh my Annie...what a gorgeous intricate design!! I'm very intrigued with this technique...you've done it so beautifully...and the colours! !...a truly stunning piece of art! Wishing you a most wonderful weekend Annie! Just stunning Annie! So soft & pretty! Love how you've woven your pretty pink ribbon ... beautiful design! Gorgeous and elegant Annie! Love the design and all the lovely colors! 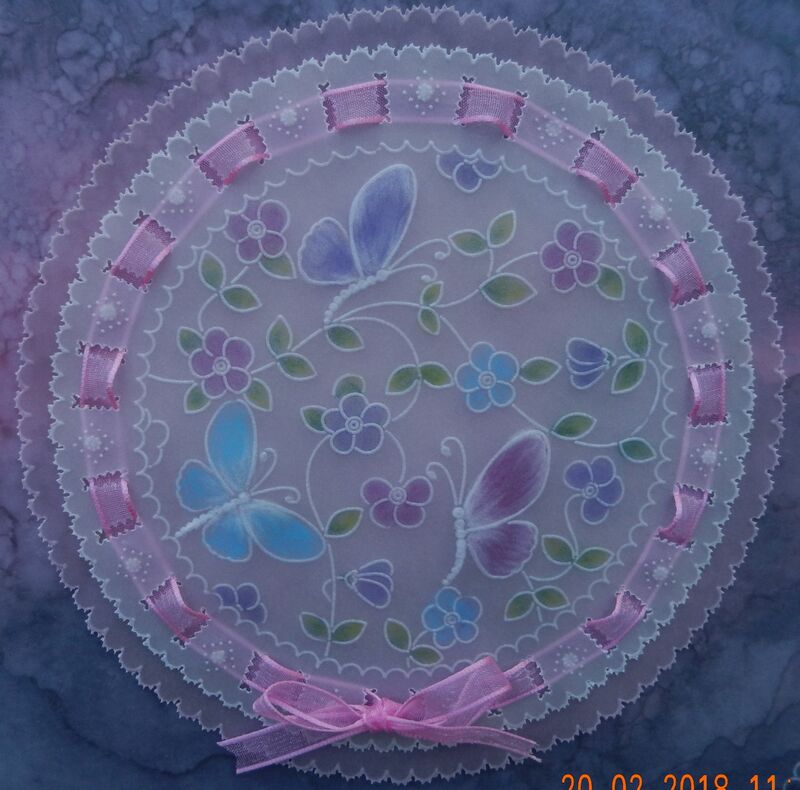 Looks like spring and sooooo delicate! You don't have to dream when you look at others work because your's is spectacular itself!!! !